O NetHunter foi desenvolvido ativamente por mais de um ano, e sofreu nada menos do que uma completa transformação desde a sua última versão. Os resultados são uma revisão completa da aplicação NetHunter no Android, com uma interface mais polida e um conjunto de recursos em pleno funcionamento. Através do trabalho comunitário é possível considerá-lo uma plataforma móvel de testes de penetração estável, de nível comercial. 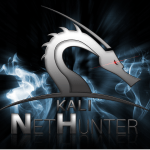 Mas o que há de novo no Kali NetHunter 3.0? Dentre as novidades estão o suporte ao Android Lollipop e Marshmallow (AOSP Android 6.x), melhorias na documentação e diversos novos recursos e ataques adicionados. Short Bytes: According to the latest documents provided by Edward Snowden to The Intercept, NSA and GCHQ were involved in surveillance activities pertaining to Israeli and Syrian drones presumed to be carrying weapons. The security agencies performed a collaborative operation codenamed Anarchist which was revealed in these documents leaked by the NSA Whistleblower. It was in 2013 when Edward Snowden used TOR to bust the global secret surveillance activities conducted by NSA, revealing around 1.7 million files as estimated by the United States Officials. Three years have passed, but the NSA authorities can still feel the impact in their head. The Intercept has published some snapshots that reveal more about the surveillance activities conducted by the American and British security agencies. The images contribute as a part of the documents obtained by The Intercept from NSA whistleblower Edward Snowden, which account for a series of surveillance operations led by Britain’s GCHQ (Government Communications Headquarters) in assistance with its American counterpart NSA. The purpose of the operations was to intercept analogue video feeds from Israeli and Syrian drones presumed to be carrying missiles. Codenamed as “Anarchist”, the video interception mission by GCHQ and NSA involved the exploit of satellite and radio communication signals in east Mediterranean and Levant regions which was conducted at the GCHQ station at the Royal Air Force communication base situated in Troodos Mountains of Cyprus. A training module was issued to the analysts to guide them with available open source tools and methods to process scrambled imagery obtained from Israeli drones. Instructions were mentioned to capture the video footage frames in BMP format images with the use of M2Extra. The computing power needed to descramble the images in near real time is considerable without the use of dedicated hardware such as a video capture card that can record uncompressed images. It is still possible to descramble individual frames to determine the image content without making too much effort. — Cited from the Anarchist Training Module “ISUAV Video Descrambling”, released by The Intercept. A 6-minute video footage was captured by the analysts on January 28, 2010, featuring a Heron TP – manufactured by Israel Aerospace Industries – carrying a heavy weapon, probably a missile that is clearly visible on the left wing. “It certainly looks like the missile-shaped objects are weapons. The bodies appear to have cruciform tail fins. The distortion makes it a bit hard to tell size, but — assuming they are bombs — these are definitely less than 500-pound class,” says the Aviation Week editor Bill Sweetman. Several more signals were intercepted on different dates and the analysts arrived at the conclusion that the Israeli and Syrian militaries were using IAI Heron, IAI Eitan, and Aeronautics Aerostar Tactical – “This is the standard IAI Heron, which can be recognized by the shape of the satellite communications radome,” said Sweetman in reference to an image captured on April 26, 2009 – loaded with weapons. Another blurred snapshot – which was “too poor to process” according to an Anarchist document – was recorded on August 25, 2009. The same day when several Palestinians were killed in a Gaza smuggler tunnel bombing conducted by IDF. A 14-second video footage from January 3, 2008, captured by Menwith Hill NSA surveillance site, was of an Israeli F-16 fighter plane, “showed an ‘unbroken line’ running through the targeting display, indicating that the target being tracked was on the ground”. The footage could be related to Gaza strip airstrikes that killed nine people. NSA did pat its back for intercepting the footage in an internal newsletter published in March 2008. A 2010 GCHQ report includes stills from a video captured by Anarchist that “revealed multiple video streams from different cameras.” The report explains that “this is potentially a significant upgrade to the normal analogue video we see, this new system adds the capability to see a number of video feeds simultaneously.” It concludes that “we currently have no collection system capable of processing this signal due to the high data rate and complexity of the underlying data,” and suggests expanding capabilities in order to capture such videos. Clearly, the report did express GCHQ and NSA’s concern to intercept the digital video footage and advanced communication methods utilized in newer Israeli drones. Write your views about this revelation in the comments section below. The post Snowden Leak Proves That NSA And GCHQ Spied On Israeli Drones Using Open Source Tools appeared first on fossBytes. SegInfocast #27 – Faça o download aqui. This tutorial is for educational purpose only i am not responsible for any harm. Short Bytes: fossBytes has prepared a useful list of the best hacking tools of 2016 based upon industry reviews, your feedback, and its own experience. This list will tell you about the best software used for hacking purposes featuring port scanners, web vulnerability scanner, password crackers, forensics tools and social engineering tools. We have compiled this list of top hacking tools of 2016 with their best features and download links. Read about them, learn how to use them and share your reviews to make this list better. Disclaimer: fossBytes is publishing this article just for educational purposes and we don’t promote any malicious practices. Rather than calling Metasploit a collection of exploit tools, I’ll call it an infrastructure that you can utilize to build your own custom tools. This free tool is one of the most popular cybersecurity tool around that allows you to locate vulnerabilities at different platforms. Metasploit is backed by more than 200,000 users and contributors that help you to get insights and uncover the weaknesses in your system. This top hacking tool package of 2016 lets you simulate real-world attacks to tell you about the weak points and finds them. As a penetration tester, it pin points the vulnerabilities with Nexpose closed–loop integration using Top Remediation reports. Using the open source Metasploit framework, users can build their own tools and take the best out of this multi-purpose hacking tool. Read more here and find download link. Get Cyber Security threat report. Acunetix is a web vulnerability scanner (WVS) that scans and finds out the flaws in a website that could prove fatal. This multi-threaded tool crawls a website and finds out malicious Cross-site Scripting, SQL injection, and other vulnerabilities. This fast and easy to use tool scans WordPress websites form more than 1200 vulnerabilities in WordPress. Acunetix comes with a Login Sequence Recorder that allows one to access the password protected areas of websites. The new AcuSensor technology used in this tool allows you to reduce the false positive rate. Such features have made Acunetix WVS a preferred hacking tools that you need to check out in 2016. Nmap – also known as Network Mapper – falls in the category of a port scanner tool. This free and open source tool is the most popular port scanning tool around that allows efficient network discovery and security auditing. Used for a wide range of services, Nmap uses raw IP packets to determine the hosts available on a network, their services along with details, operating systems used by hosts, the type of firewall used, and other information. This free and open source tool was originally named Ethereal. Wireshark also comes in a command-line version called TShark. This GTK+-based network protocol analyzer runs with ease on Linux, Windows, and OS X. This useful hacking tool can be downloaded in different versions for Linux, OSX, and Windows. This top free hacking tool of 2016 works with the help of a client-server framework. Developed by Tenable Network Security, the tool is one of the most popular vulnerability scanners we have. Nessus serves different purposes to different types of users – Nessus Home, Nessus Professional, Nessus Manager and Nessus Cloud. Apart from the above mentioned basic functionalities, Nessus could be used to scan multiple networks on IPv4, IPv6 and hybrid networks. You can set scheduled scan to run at your chosen time and re-scan all or a subsection of previously scanned hosts using selective host re-scanning. Maltego hacking tool is available for Windows, Mac, and Linux. This Python-driven tool is the standard tool for social-engineering penetration tests with more than two million downloads. It automates the attacks and generates disguising emails, malicious web pages and more. We hope that you found this top hacking tools of 2016 list helpful. Share your reviews in the comments below and help us improve this list. The post Best Hacking Tools Of 2016 For Windows, Mac OS X, And Linux – fossBytes appeared first on fossBytes.